Artifact303 is Romanian artist Zsolt Peter, one of the biggest and brightest rising stars of the melodic goa-trance genre...!He managed to get this very strong reputation because he released some absolutely superb melodic dance floor killers on compilations last few years. 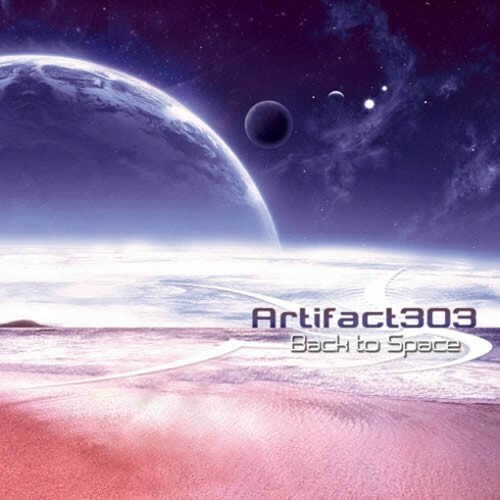 Suntrip lovers will remember Feelings and Energy Waves for sure!Now, after 2 years of hard work, we are proud to announce his highly wanted debut-album called Back to Space!What makes Back to Space so unique is the fact that Artifact303 manages to blend fantastic melodies, lots of layers, a great story and brain-stretching climaxes perfectly together... Once you close your eyes and you listen to the music you end up in a hurricane of effects and melodies, putting a smile on your face! ;)His talent is showcased during 9 tracks on this album, ranging from more acidic Goa-trance to more bright euphoric madness! Expect one slower surprise in between as well...Lovers of superpsychedelic Goa-trance, the Filteria style, should not miss this piece of art!Like usual this album is crystal-clear mastered by Tim Schuldt!